Living Prepared blog shares how to make bleach from dry granular pool shock. 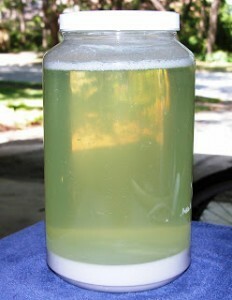 Stored pre-mixed bleach that you buy in the supermarket when stored loses it’s effectiveness by 20% each year. Many people are keeping a large stock of bleach for sanitation purposes in case of a long term disaster or to disinfect water. Here are two good resources of information below.